We talked at a coffee shop and bakery on Northeast Martin Luther King Jr. Boulevard, a part of town that’s changed markedly since the days when Grafe knew Portland well. He already knows a lot of the regional players from previous short stints at the Oregon College of Art and Craft in Portland and as acting curator of Native heritage at the High Desert Museum in Bend. And already he’s been getting around and seeing what’s up at other museums and galleries. He praised the comic-art exhibit Faster Than a Speeding Bullet: The Art of the Superhero at Eugene’s Jordan Schitzer Museum of Art, and when he discovered we’d both seen Comic Art Indigene, last year’s groundbreaking show of Native American comics art at the Museum of Indian Arts & Culture in Santa Fe, the conversation took a fascinating turn into his views on the realities and myths of contemporary Indian life. Grafe has also been a consulting curator for the touring exhibit Craft in America: Expanding Traditions, a show that opened the Museum of Contemporary Craft‘s new home in the Pearl District and was the companion exhibit to PBS television’s series Craft in America. 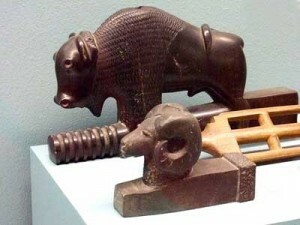 So between craft and Native American art he’s deeply familiar with two of Maryhill’s most important areas of interest. Still, you have to know which two things your institution has that you can put together. Grafe inherits the subjects of next season’s program from Musgrave, who designed it before he retired, and the opener will be 70: Seven Decades of Collecting at the Maryhill Museum, a selection of 70 pieces from the museum’s permanent collections to highlight its 70th anniversary season. 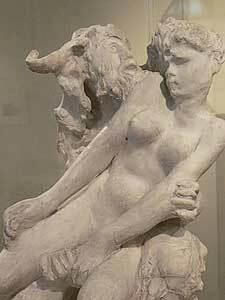 “The beauty of that for me is, I’m gonna get to learn the collection real well,” Grafe said. Those winter-break months are going to help that process considerably. Also scheduled for 2010 is a selection of pieces by Northwest master glass artist William Morris, inspired by the flora and fauna of Steens Mountain and the Sisters area in Oregon, and the North Cascades in Washington. The season’s third special exhibit will be Comics at the Crossroads: Art of the Graphic Novel, a show that takes advantage of the Pacific Northwest’s leadership in the contemporary graphic-novel movement. Are you sensing a theme here? Grafe has ideas for beyond 2010, though nothing’s set yet. He’s looking at a traveling show of icons for 2013, an exhibit that would tie in well with the museum’s own holdings. “That’s one part of the collection that I’d like to build on,” he said. “The Northwest is something of a center for icons.” Indeed, just north of the nearby town of Goldendale, Washington, lies the St. John the Forerunner Greek Orthodox Monastery, where making icons is one of the arts that the 20 nuns and novices practice. Another possibility: a show of landscapes of the Columbia River region by Eanger Irving Couse, a prominent member of the Taos Art Colony in New Mexico, whose wife grew up on a ranch east of Goldendale, where the two lived for four years beginning in 1897. Grafe is thinking of a show of photographs by Lee Moorhouse, who was born in Iowa in 1850 and became a leading civic figure and photographer in the eastern Oregon ranch town of Pendleton, leaving 9,000 images of life in and around the city. Grafe knows Moorhouse well: In 2005 the Western Legacies Series published his book Peoples of the Plateau: The Indian Photographs of Lee Moorhouse, 1898-1915. And Grafe has his eyes on a show that would center on a rare sketchbook that the Hudson River School painter Albert Bierstadt made during a trip through the Pacific Northwest on one of his many working sojourns in the West. Bierstadt has regional pop: His large romantic oil of Mt. Hood is one of the iconic paintings in the collections of the Portland Art Museum. 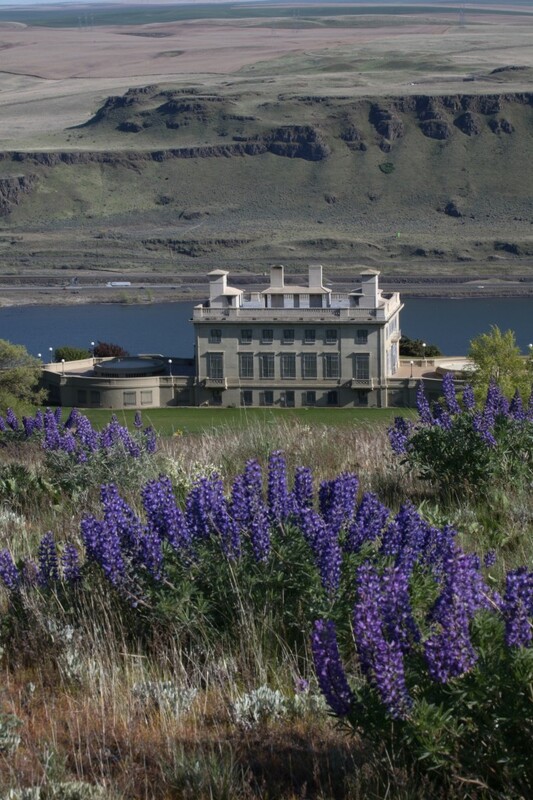 And, of course, you can walk onto the Maryhill Museum grounds, look west over the Gorge, and see the eastern slope of Mt. Hood looming on the skyline. Bierstadt’s sketchbook, which would help tie his Northwest connections together, is at the Mabee-Gerrer Museum of Art in Shawnee, Oklahoma. What else? Hard to tell. But it’ll be interesting for Grafe — and the rest of us — to find out. 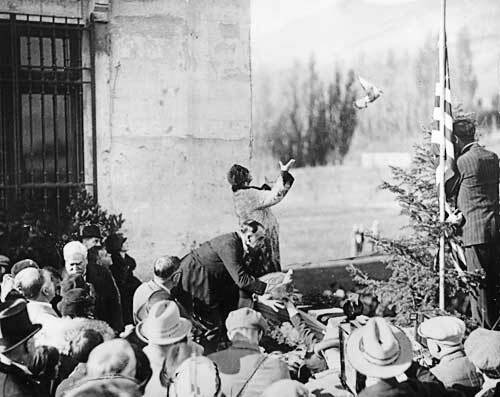 Queen Marie of Romania dedicating the still unfinished Maryhill Museum of Art in a 1926 ceremony. The museum didn’t actually open to the public until 1940, after a push by Alma de Bretteville Spreckels, wife of the San Francisco sugar king. 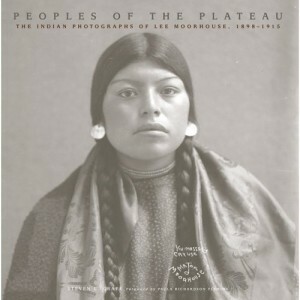 Grafe’s book on pioneer Pendleton photographer Lee Moorhouse.